Hey peeps. 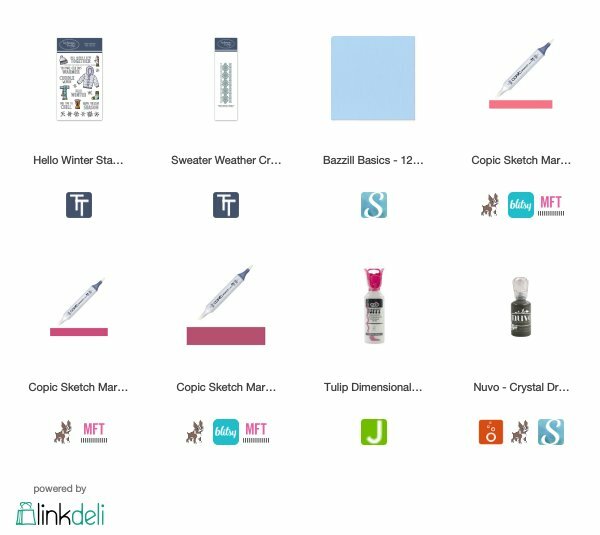 I hope you have been enjoying the tutorials I have so far for you. Today is Day 5 of the Holiday Card Series 2018. 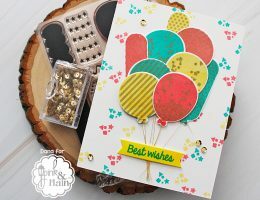 I’m sharing a really cool stamp set and die bundle from Concord and 9th today. I LOVE how this card turned out as it’s dimensional and super cute to boot. If you missed any of the card series to day you can find all the videos here. This card will fit into to a regular size A2 card envelope however, when the recipient opens it, it will pop up and stand on it’s own. Such a cool way to wow a recipient. 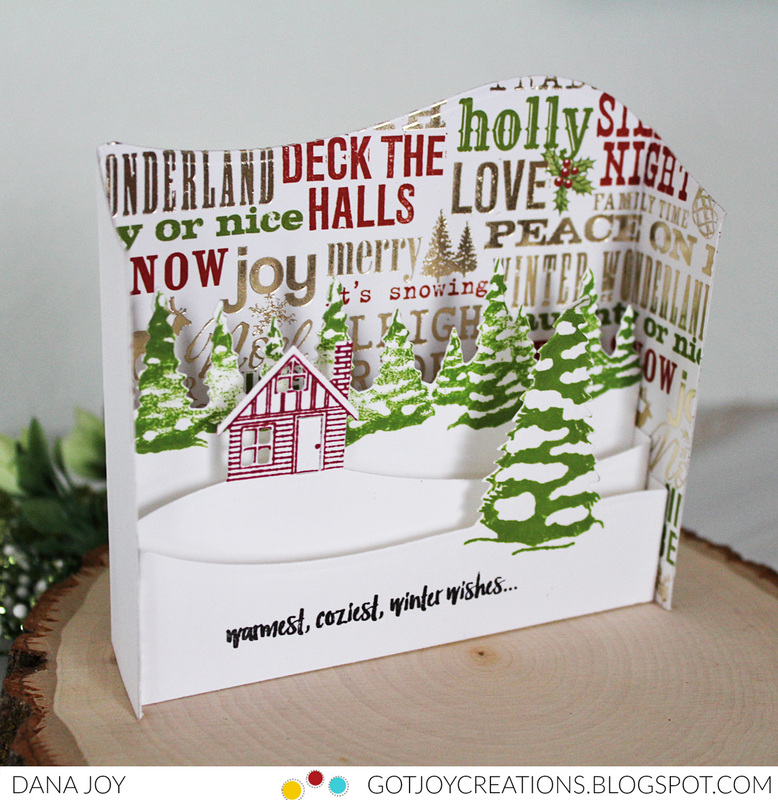 The stamp set and dies are called Christmas Cottage. 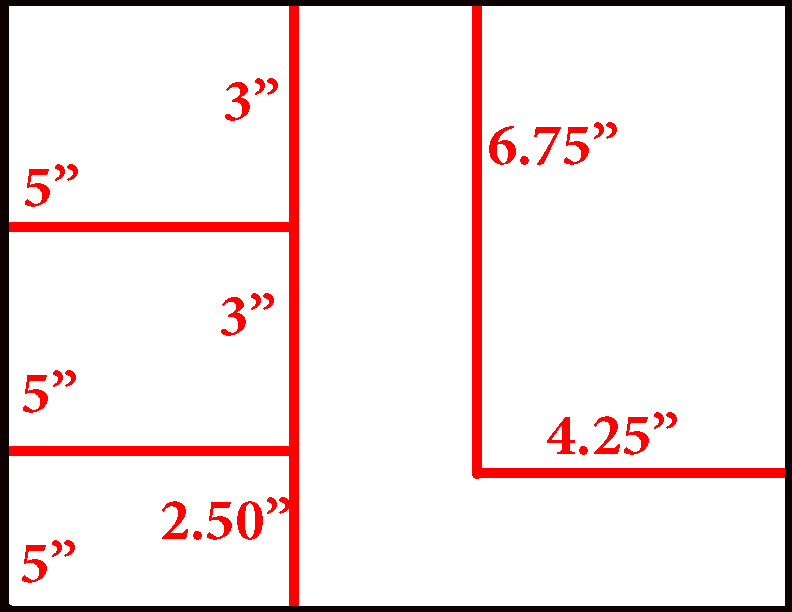 There are a few measurements you need to be aware of. 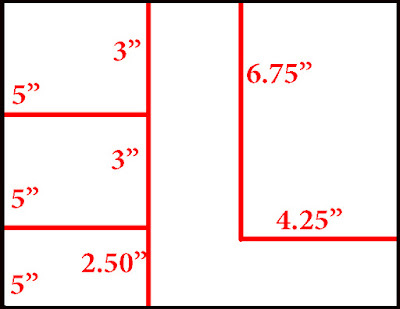 You will need three pieces measuring 5 x 3 and one measuring 6.75 x 4.25. Now if I totally just confused you, it looks like this. This is cut from a 8.50 X 11 piece of cardstock. 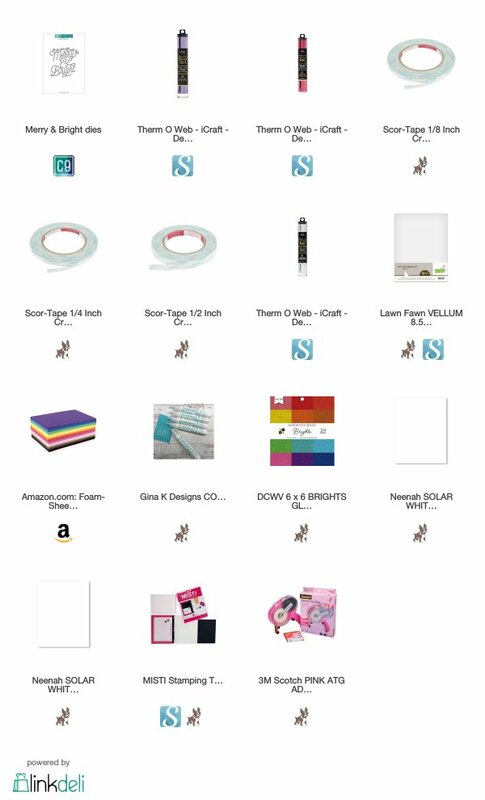 If you are using designer paper (which is lighter paper for any of these pieces, make sure to adhere them to a stronger cardstock so that the card holds up. I’ll share this with you in the tutorial. Have a great day everyone. I’ll see you back here for Friday for another day of holiday inspiration. Hey peeps. 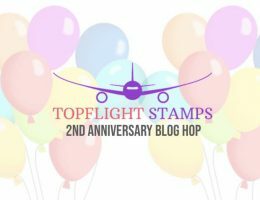 It’s Monday and I’m back with the Holiday Card Series 2018 – Day 4. 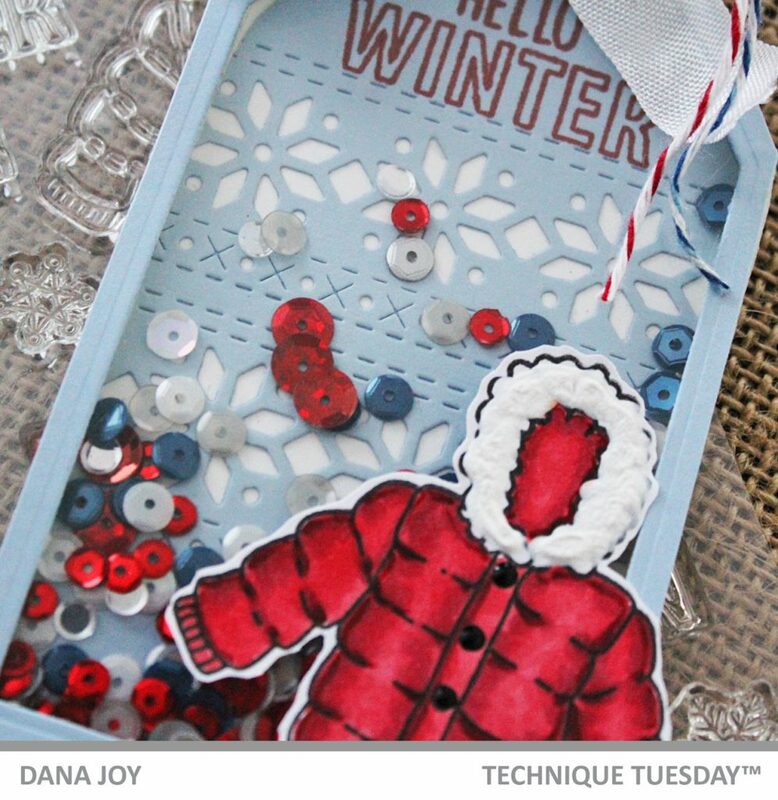 I’m so excited to share with you an easy technique to produce really great cards. 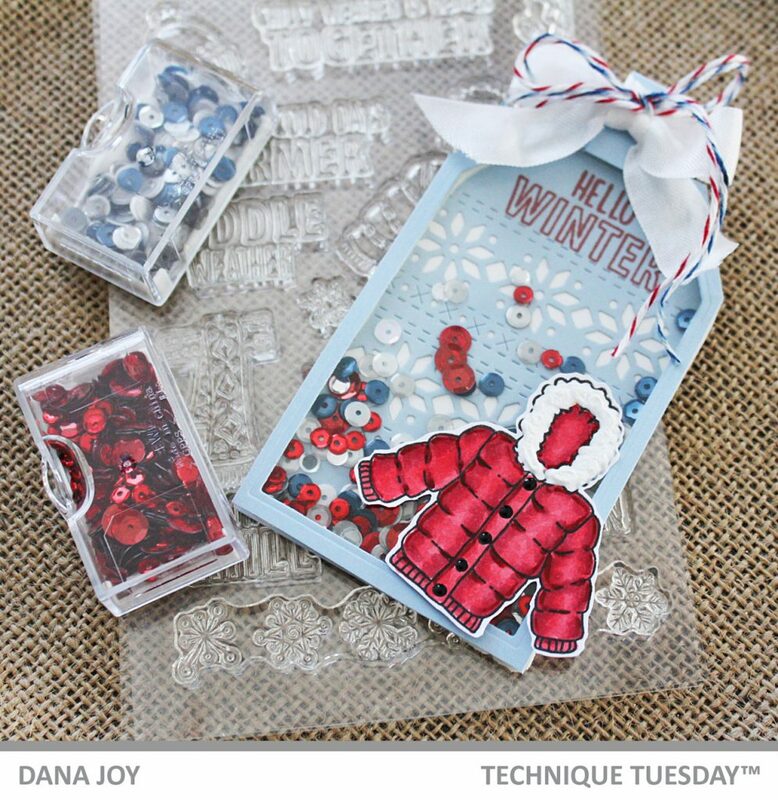 No stamping required for this one and it’s easy to mass product. For my card today I’m using foil, scor-tape and a large graphic die cut to make quick, fast and a hurry cards. 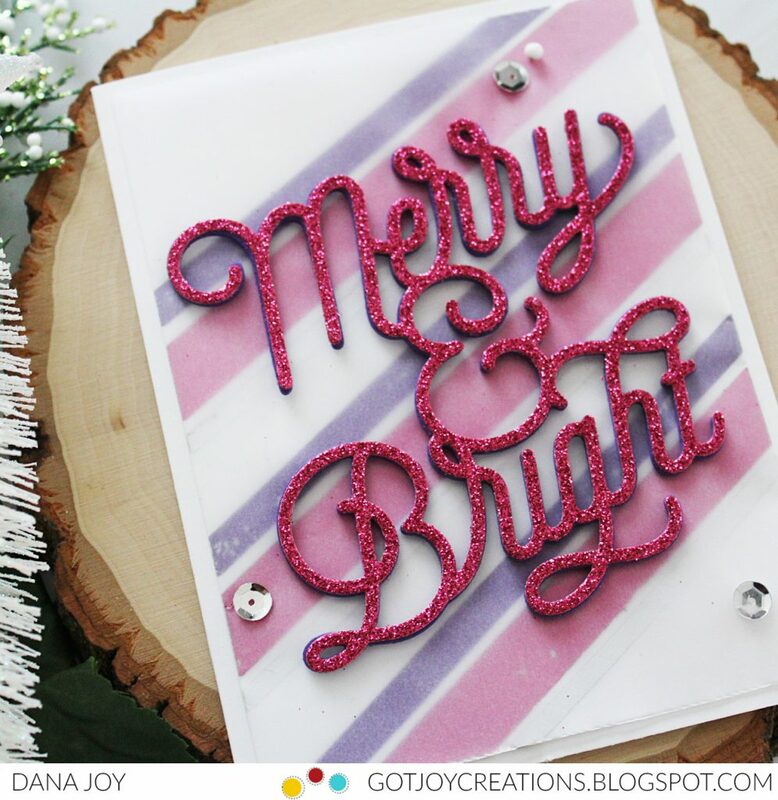 You can pull out any color foil for this project and any width scor-tape. 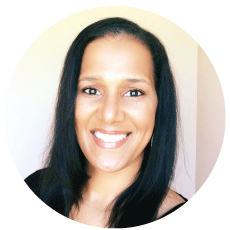 The design concept is easy to follow and you can change it up anyway you want. Pairing the foil with a light sheet of vellum tones down the harshness and adding glitter paper for the sentiment really makes this card stand out. Thanks for stopping by today. 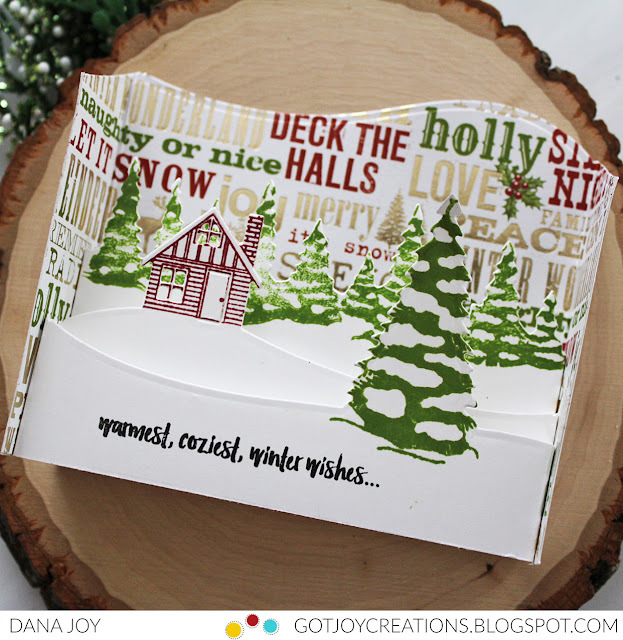 If you’ve missed Days 1-3 you can find it here on my Holiday Card Series 2018 playlist.. See you back here tomorrow for the 25 Days of Christmas tags blog hop. Hey peeps. Happy Friday. Today is Day 3 of my Holiday Card Series for 2018. 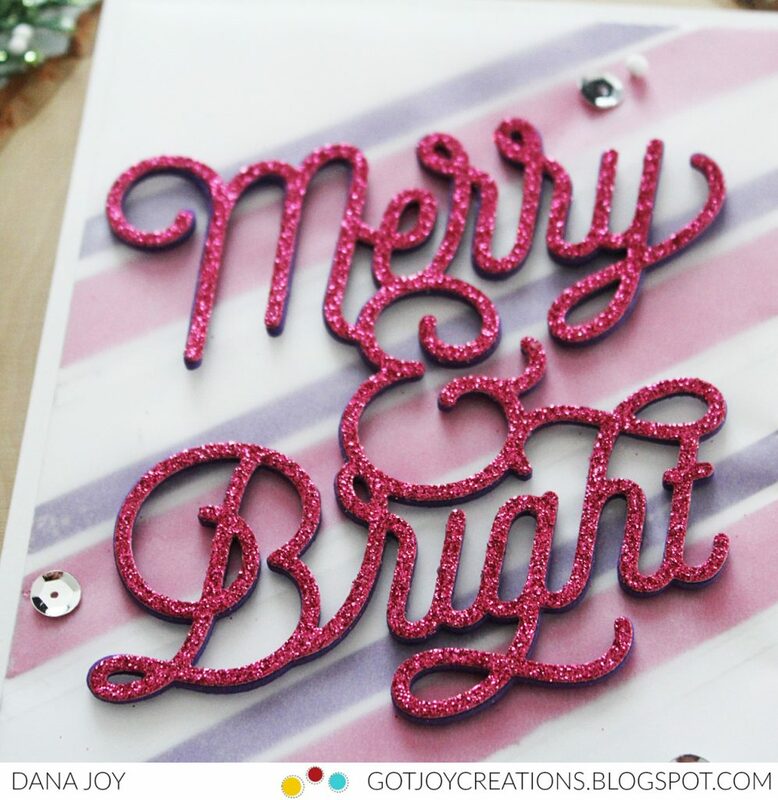 I’m super excited to share this card with you today as I love everything that is sparklie and embossed. So let’s see what’s in store for you today. I’m playing with some Nuvo glitter paste and Comic Shimmer Metallic Gilding Polish. Using these two products together helps to create beautiful cards. You can use any stencil of your liking with these products just make sure to clean your stencil off immediately after use as well as your palette knife. I mean look at this sparkle!! 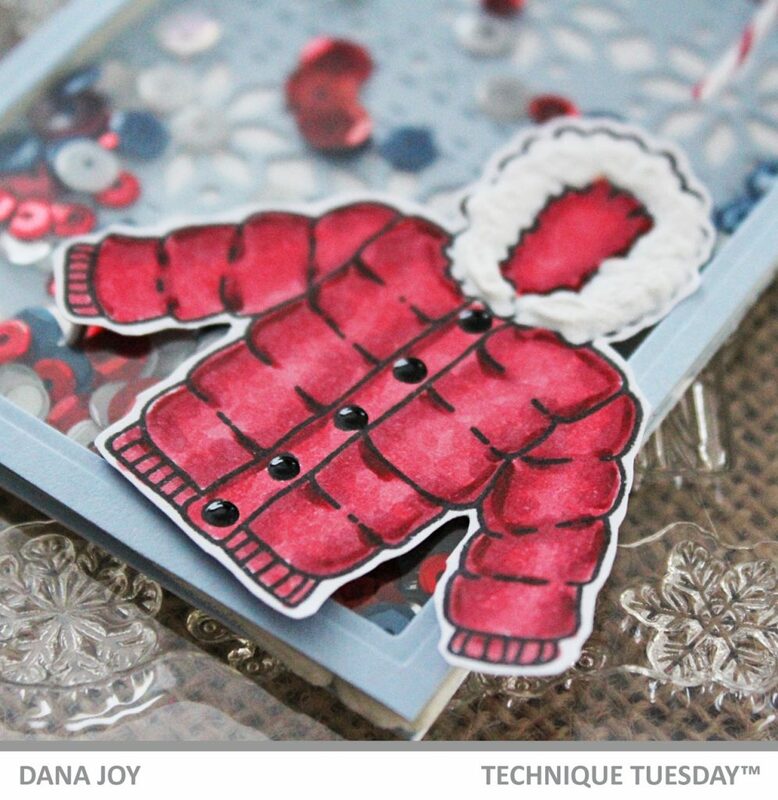 Using this stencil really allowed me to keep this card simple but achieve a dramatic look all at once. 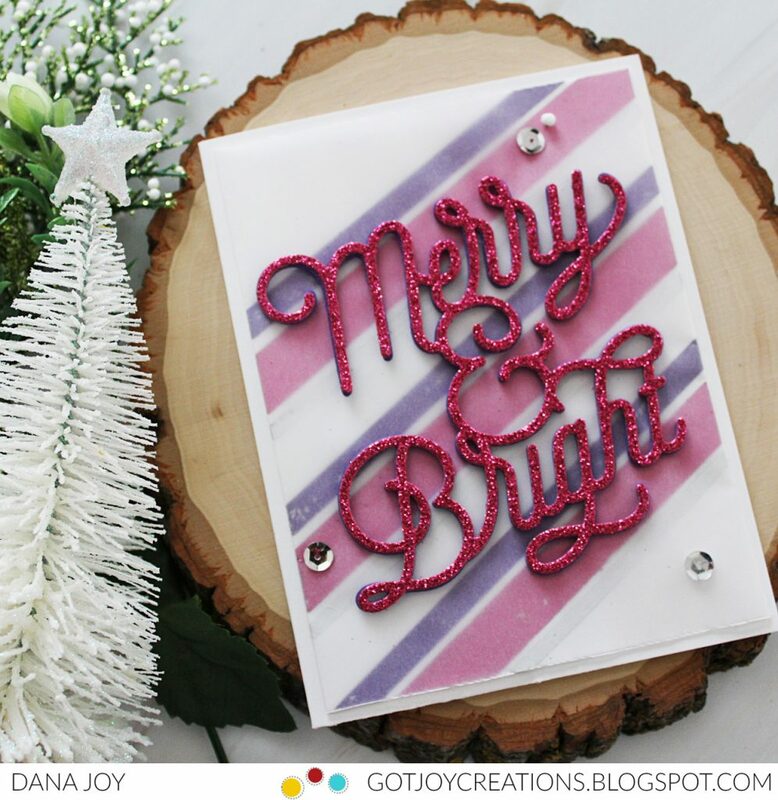 Keeping the sentiment simple with the Scripty Xmas stamp set from Mama Elephant is the way to go with this kind of design. Thanks for stopping by today. Make sure to check out Day 1 and Day 2. I’ll see you back here soon! Hey peeps. I’m back with Day 2 of my Holiday Card Series 2018. I’m super excited to be sharing some coloring with you today. I decided to pull out my Copic markers and work with the awesome stamp called Deck The Palms. I was so excited to get my hands on this stamp set as I live in Florida and I mean this stamp set is PERFECT for our hot holiday climate. 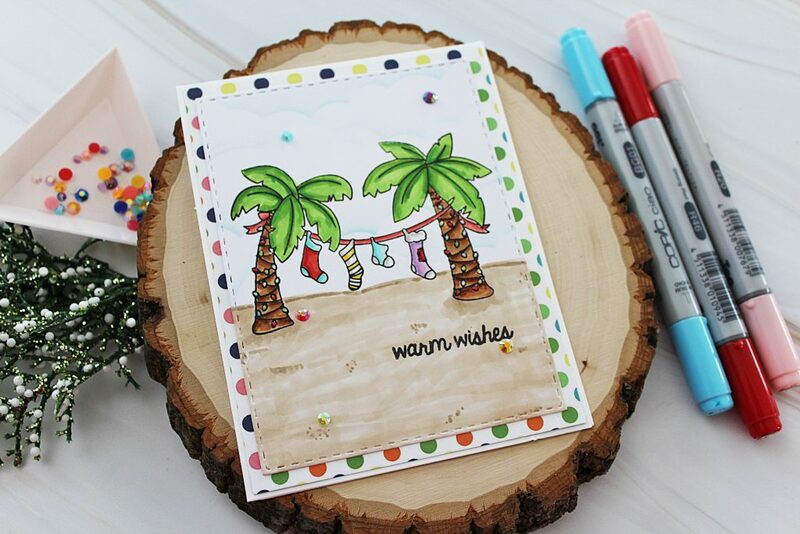 This stamp is so much fun to play with to create a cute little beach seen. I’ll I need is a fruity cocktail and a beach chair and I’m all set for the holidays. Pulling out my Copic markers was a no-brainer for this image. I mean how cute are those palm trees. Thanks for stopping by. I’ll see you back here for Day 3 soon! !